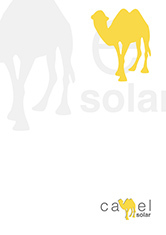 A short introduction to Camel Solar and the people who work here. The renewable heat incentive is a payment for generating heat from a renewable source of energy. The renewable heat incentive has been set up by the government to help us become more sustainable reducing our energy bills but also helping meet co2 emission targets for 2020. How much is the Renewable Heat Incentive? First money will be saved by cutting or reducing your need for gas or oil, both of which are becoming increasingly expensive year-on-year. From statistics shown gas has increased 10-18% from January this year and looks to be increasing 10% year on year for the next 7-10. As a customer you will be paid up to 8.5p/kWhr for the hot water and heat you generate and use yourself from your Camel Solar thermal system. However there are different systems and what system you decide to use will have a different tariff levels. The RHI payout will last for 20 years from the day that it was registered and will be constantly monitored with inflation. Will this shorten the payback period and cover installation costs? The RHI does help reduce the payback period making it more attractive to consumers. We estimate at Camel Solar that many consumers will gain a big enough return from the tariffs to cover their installation within a period of 7-10 years in most cases. Does my Solar system qualify for RHI? Solar thermal systems installed after 15th July 2009 qualify for the Renewable Heat Incentive scheme subject to energy performance, but will only get paid for any generation from the date they are registered for the RHI scheme onwards. Installed from the 15th of July 2009 onwards will receive Renewable Heat Incentive payments for a period of 20 years from the date of registration. They will not be able to register until the scheme is introduced at the end of November 2011. Installed from 29th July 2011 to October 2012 will also receive Renewable Heat Incentive payments for a period of 20 years from the date when they register for the RHI, but they won’t be eligible to do so until Phase 2 in Autumn 2012. Installed from October 2012 onwards will be able to apply for the renewable heat incentive and once registered will be able to receive regular payments for the next 20 years.